Coming from the north, continue on the main road to the Ferramat Banamichi. 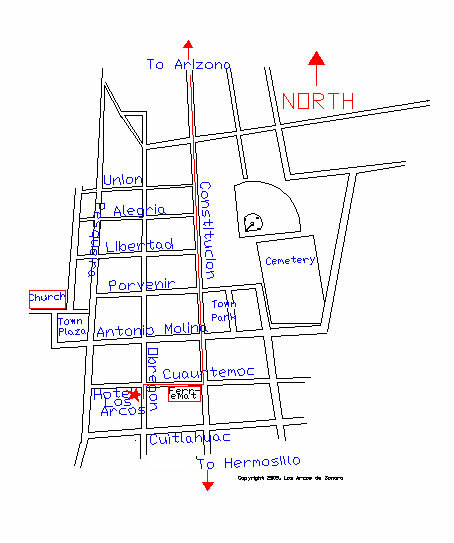 Turn right and proceed one block and Hotel Los Arcos is on the corner. Turn right and park in front.